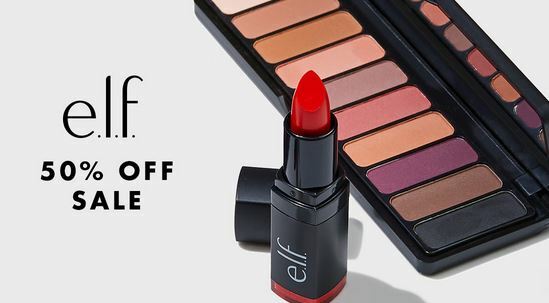 I absolutely LOVE e.l.f. cosmetics. They have several items that are really great. And this sale is one that doesn’t come along often! For TWO days only, get 50% off orders $30 or more! But, I’m going to tell you to spend $50. Why? Because shipping is free with orders of $25 or more. So if you fill your cart up with $50 worth of goodies (and it will be a LOT of goodies!) with the 50% off you’ll only pay $25 and you’ll get FREE shipping! Only through Friday, 8/31 – so shop now! Next post: August 31 National Diatomaceous Earth Day – What IS Diatomaceious Earth?